With our list of top 7 best social apps for your Android smartphone or tablet, you can easily find like-minded folks either in your local area or across the world. The next time your favorite band is in town and your spouse would rather stay home and watch Netflix, just fire up your social app of choice and find someone who would be thrilled to go there with you. You never know, perhaps that one evening will turn into a lifelong friendship. Facebook has very quickly become the world’s largest social media platform. People all over the world are using Facebook, and often search for things on Facebook with very specific interests. That said, Facebook makes it super easy for you to get involved with other people that are interested in the same things that you are with a simple search in the search bar. The app actually makes it easy for you to meet people in general, allowing you to find ways to get involved in your local community, and to even search for events that are happening near you. These days, Facebook as a whole offers a ton of contextual information, which makes finding like-minded people even easier! Couchsurfing Travel is up next, and is more of a unique choice as far as finding like-minded people go. It’s actually a great way to stay with local people when you’re on the go. You can browse millions of local hosts offering a place to stay in thousands of cities around the globe, which will allow you to stay on their “couch” during your travels. You can search for specific things about local hosts to make sure that you’re staying with people that have similar interests as you. You can make lifelong friends this way! Alternatively, you can choose to open up your home for couchsurfers. Fill out a profile, preview who wants to stay on your couch, and show these travelers around town! Meetup’s tagline, Do more, perfectly captures the spirit of this leading social app for Android. The app empowers its users to do more of what they love the most. Whether it’s geeking over the latest tech gadgets, trying out small diners and family-owned fast-food places hidden in back alleys, exploring the outdoors, working up the sweat in the gym or on a local bike trail, and countless other activities. Meetup events are open to anyone, often bringing together a sizable group of strangers who all share a common goal—to have fun and make friends. Larger meetups are perfect for people who don’t feel comfortable in a more intimate setting. One can visit a meetup to check it out, casually chat to a few strangers, and decide whether to stay or leave and try again some other time. Facebook has created a versatile place where groups of people can organize events and collaborate on projects. Even though many, often reluctantly, join Facebook Groups for school or work purposes, Groups can be used for just about anything, including meeting new people with similar interests and making friends. However, Facebook Groups has expanded into its own app — Facebook Local, allowing you to not only find groups that are putting on interesting events, but actually allowing you to see what events are happening around you, too! Because Facebook Local is closely connected with your Facebook account, you can easily promote your group event, and invite other people you are acquainted with to come along with you. You may be surprised by how many of your Facebook friends make for fantastic real friends. 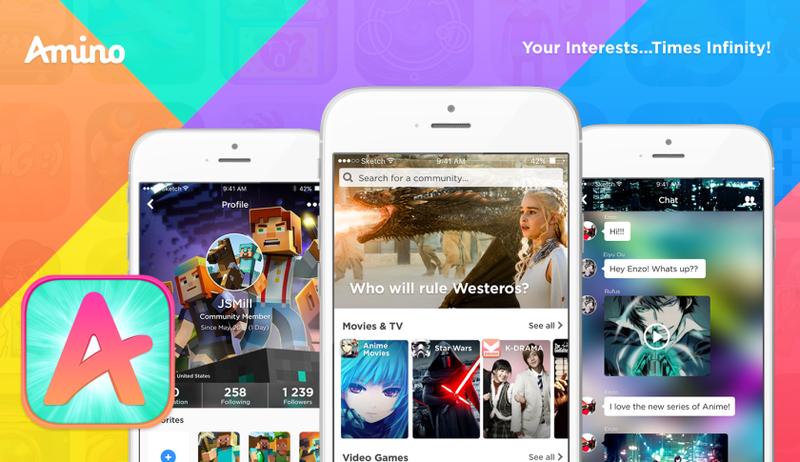 Compared to Meetup and Facebook Groups, MeetMe is a much more hands-on social app. Instead of finding a group of people organized around a common activity or event, MeetMe allows you to instantly chat with those who share your interests and would like to do the same things as you. The app lets you create a personalized profile page, where you can tell others about your likes and preferences, personality type, location, age, and gender. Using a variety of search filters, you can trim the huge database of more than 100 million users to a handful of best matches located near you. From there, just say a few hellos and see with whom you click the most. The app lets you share pictures, send emojis, and discuss common interests—all you need to find new friends and people to go out with. We live in a strange world. On the one hand, it’s common to know exactly what a random person from the other side of the world thinks about the new trailer for the latest Star Wars movie, but, on the other hand, we often don’t even know our next-door neighbors on a first name basis. 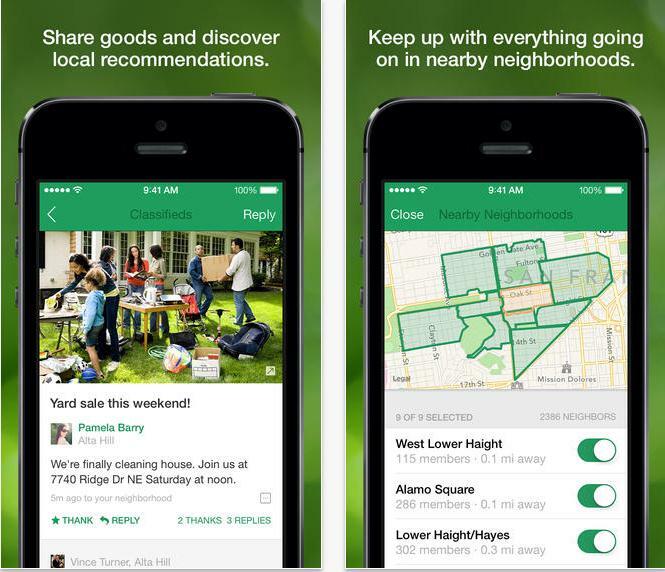 Nextdoor gives you everything you need to change that. This private social media network connects people living in the same community and provides them with a convenient means of communication. Multiple households can together collaborate and discuss important topics, organize a neighborhood crime watch, give one another tips and recommendations, ask for help, pool money together to purchase seldom used expensive tools and machinery, and, above all, finally learn more other members of the community. There are two types of geeks in this world: the first type knows how to build a PC from scratch and uses a mechanical keyboard; the second type knows by heart the names of obscure K-Pop groups and their members, owns an anime-themed pillow, and has an account on Amino, a large network of smaller communities that can be downloaded as individual apps from the Play Store. Have you, for example, felt in love with the highly-acclaimed role-playing game Undertale and are dying to chat with other people who considered it to be an RPG masterpiece? Then just download the Undertale Amino app from the Play Store and join almost half a million fans, who share what they love about the game and together discover everything Undertale has to offer. As you can see, there are tons of excellent choices as far as finding people with similar interests go. Facebook is obviously one of your best choices, but there are plenty of other apps on the market that are looking to bring people together. We recommend giving most of these a shot and finding out which one works for you, or gives you the most success rate. 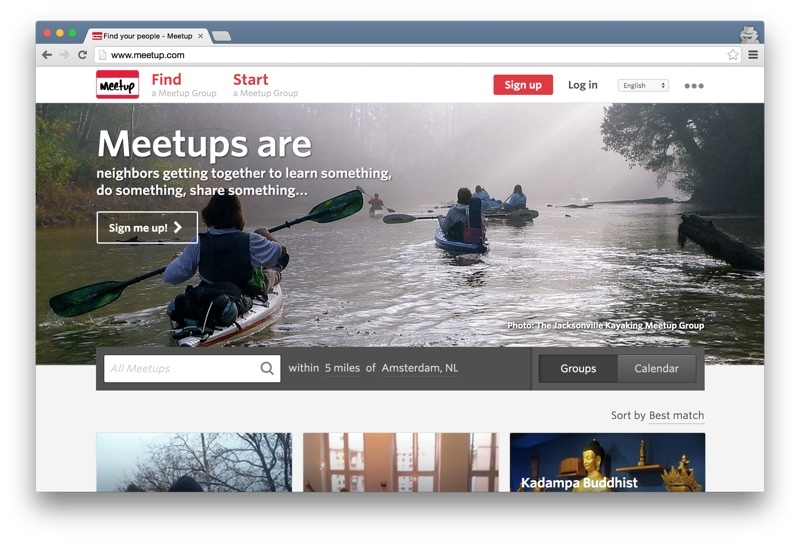 Do you have a favorite meetup-style application? Sound off in the comments section below — we’d love to hear from you! One of the best pickup sports apps that should be included here, which has been really great in terms of helping people make new friends in cities like Toronto and Philadelphia, is OpenSports, the “meetup for sports” pickup sports app/website. They just launched a very robust groups feature that allows organizers to better manage their recreational sports groups. I met a ton of our users on the ground at pickup soccer games every week and so many of their users are people new to cities who are looking to make new friends and be active.